American Legion Oxnard Post 48 is on the move! Added by Deborah Baber-Savalla on July 27, 2017. The post is on the move— literally. It’s my sad duty to report that after three years at the Auto Center Drive location, we have to vacate this facility. 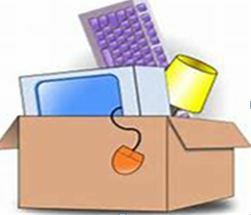 Our last day here will be on July 31st, so we have a month to clear out. However, the good news is that as of July 1st we will start to transition to a new place to continue meetings and conduct our business. the VFW membership voted in favor of sharing their spaces with Post 48—at no cost. We look forward to sharing many great things with our friends at the VFW Post 1679. I thank and commend the dedicated Post 48 members who have steadfastly gone out of their way to conduct fundraisers and supported the many post events that were held—you’re the best. Coincidentally, the move to a new “home” begins with the start of the American Legion’s 2017-2018 cycle, with new members joining the Post Staff. We welcome you, and with all of our support, bid you a terrific year in achieving many great accomplishments. Joe Reyes is Commander of Oxnard’s American Legion Post 48. At 98-years old, American Legion Post 48 is approaching its centennial anniversary.